So Snow-Camps 2015 Alpine Challenge has come to an end! Snow-Camp are known for pushing boundaries and putting on great events for an amazing cause, and the 2015 Alpine Challenge has been no exception! 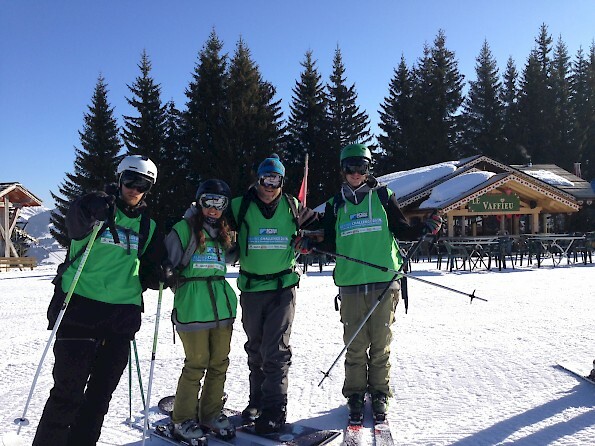 This years event was the 6th time The Alpine Challenge has happened hosted at our L’Aubergade Hotel Morzine. 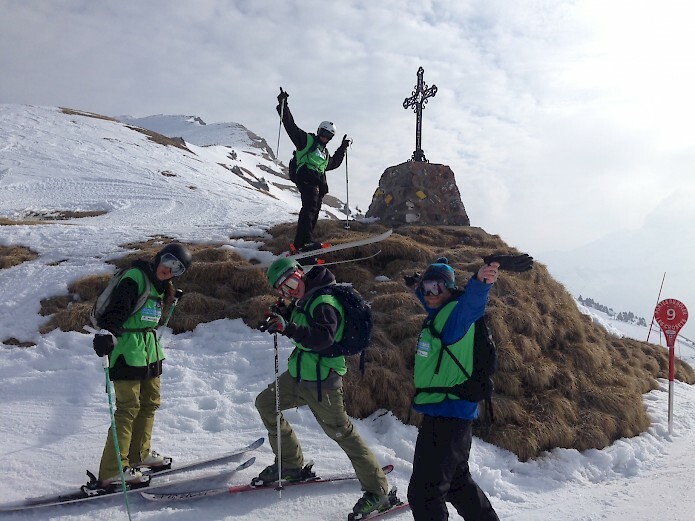 Now if you’ve been living under a rock, Snow-Camps Alpine Challenge is an event where teams of 4 have to reach 25 check points around the Portes du Soleil area, whilst also clocking up the most amount of distance. The team has a GPS tracker which records your distance, and you have from first until last lift to gather the most amount of distance whilst also reaching all the checkpoints! 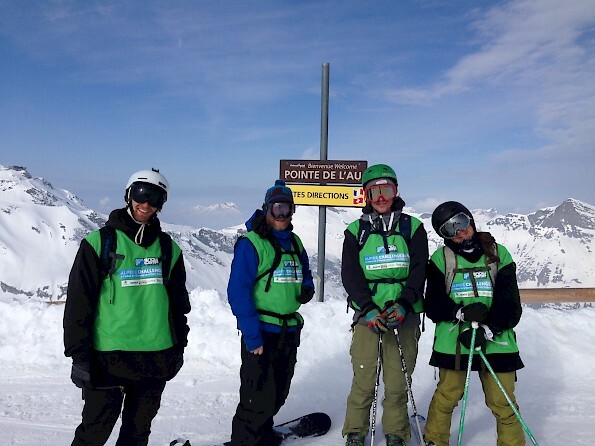 After some sore legs and over 280km skied over two days it’s great to say that THE MOUNTAIN MAVERICKS TEAM WON!!! The competition this year was tight, with the standard of endurance skiing being of the highest quality! Closely second and third were (2) Team Morzine Source Magazine/Bec Juane & (3) Team Les Pou Pou, both making us ski harder than ever when the hourly results were texted to us! Congratulations everyone with a great 2 days in amazing conditions! From a fundraising perspective; Team Slippery Slope followed by Team Ski Plex raised the most amount of money for Snow-Camp which will go a very long way to making Snow-Camps efforts even bigger and better throughout the year! After the prize giving we saw Zuri Aura rock L’Aubergade Hotel and everyone have a well deserved drink! 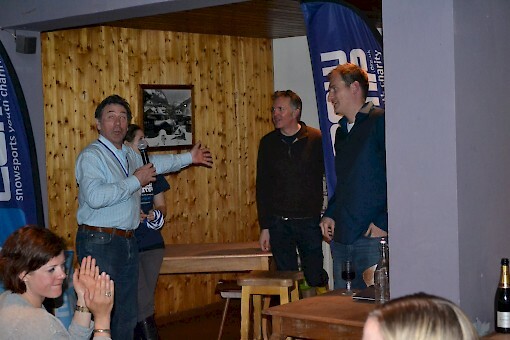 Another great Morzine event, we can’t wait for next year. Mountain Mavericks fundraising site is still live for a few more weeks, and we’re happy to add our pancake day, ski sale table donations, bar charity box, Wax:on Wednesday donations and entrée fee’s to this amount to raise money for Snow-Camp. Previous: Morzine’s favourite snowboard competition is back for the 3rd year, and it’s bigger than ever! Next: Introducing: The Mountain Maverick Sessions!